Rona Ramon, widow of Israeli astronaut Ilan Ramon and founder of the Ramon Foundation, will be posthumously awarded the country’s most prestigious honor – the Israel Prize. It will be the fifth time that the prize has been awarded posthumously – previously in 1953, 1957, 1970 and 2008 – and always given to an outstanding personality. Education Minister Nafatli Bennett announced that an Israel Prize for Lifetime Achievement would be presented to the children of Ramon, who died tragically of pancreatic cancer last December, on Israel’s Independence Day on May 9. Ramon was hailed as “an Israeli hero full of giving and light” and who transformed her loss to become a leading advocate for Israeli youth. “Ilan and Asaf touched the stars; Rona touched our hearts,” said Israel’s President Reuven Rivlin upon her passing. 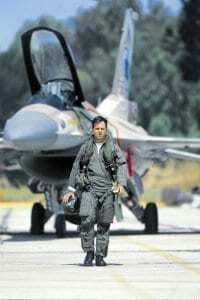 She lost not only her husband when he died as part of the ill-fated Columbia Shuttle mission to space in 2003 died with six other astronauts when it exploded on re-entry; six years later, her 21-year-old son Asaf Ramon was killed in a training accident as an Israel Air Force fighter pilot. But although her life from the age of 39 when her husband was killed put her in the role of Job, Rona never despaired or gave up on life. She was always optimistic, turning her personal tragedies into an impetus for improving the lives of others, dedicating her energy into projects with a long-lasting impact. Overcoming her grief, she chose to help others, go give the best of herself and to become a heroine against her will. She established the Ilan and Asaf Ramon Foundation, which stands for academic excellence and social leadership by initiating advanced educational programs in the fields of science, aviation and space – to inspire a new generation of young Israelis. The foundation built an impressive network of educators from the Upper Galilee to the southern Negev. Three educational programs sponsored by the foundation are run in dozens of municipalities and local authorities to advance leadership in young people in education, science, technology, engineering and mathematics. The Ramon Spacelab program enables students to send scientific experiments to the International Space Station. Rona gave numerous speeches around the country about space and science, while also providing grief counselling to people who have lost loved ones. She earned a master’s degree in holistic medicine from Lesley College. She was overjoyed to be chosen to light a beacon at the memorable opening ceremony of Israel’s 68th Independence Day celebration in 2016. When she learned that she had contracted incurable cancer, she said to her three remaining children Yiftah, Tal and Noa (now all in their early 20s): “With two of us in heaven, we were in the majority. But now, we are not.” Yet she didn’t want the public to know about his terminal illness so they would not feel sorry for her. The announcement of her passing induced grief and tears among Israelis of all backgrounds, even if they had never met her personally.